Posted on November 3, 2015	by J.
I turned 30 years old yesterday. George and I used to talk about my 30th birthday a lot. He said he was going to throw me a party for it, and for some reason I’ve always looked forward to turning 30. When I took the job here at Huntingdon College, the moment I signed my lease to my sweet apartment, I promised myself I was going to party in Nashville. Which is only 4 hours north of here. So why Nashville? I am a Andrew Jackson fan. The Jacksonian era is my favorite time in American history, and he’s also my favorite president and politician. I wanted to ring in this new lease on life with my favorite president. 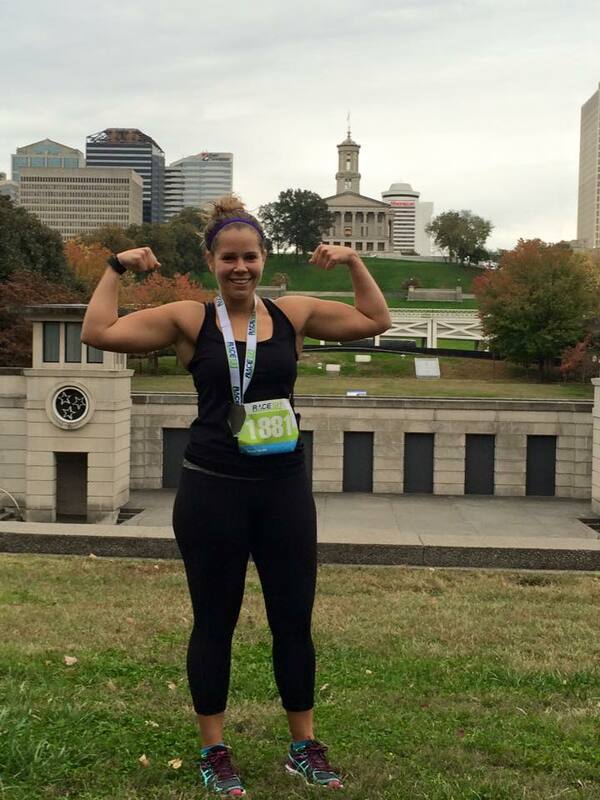 When looking for activities to do, and things to see in Nashville besides Jackson’s Hermitage, I discovered that there was going to be a half marathon on Halloween. Ring in my 30s by running one last half marathon in my 20s? Oh hell yeah. So I signed up for the race, booked a great hotel near Vanderbilt, and the birthday weekend festivities started to roll forward. Accompanying me was my Airman who I met down here in Montgomery in the dog park. Jackson was my favorite president and commander, Mike is my favorite Airman and fellow history nerd. Made sense. Are you still with me? I’m sorry for the long drawn out anecdote in the beginning. We’ll get the birthday party crasher, President James Garfield. I’ve had a lot of luck in the dating game. Beginning of this year I was seeing Tom, and due to taking the job in Alabama we broke up. Not on bad terms. Upon moving here, I wound up at the dog park on the hottest damn Sunday of the summer, and I met Mike. We’ve been dating ever since. I do recognize if the circumstances of my life didn’t go the way they did, neither Tom or Mike would be in my life. I remember standing outside one evening in the Alabama humidity and asked George to show me a sign if I’m making the right choices in my life, whether it’s dating, professional, emotional, etc. I just wanted him to show me a sign. I then forgot about it for awhile, and then came Packet Pick up mayhem of October 31, 2015. As I was running I started thinking about 1881. Who was president? Was it our 19th president Rutherford B Hayes? Or was it Garfield? Maybe Chester A Arthur? But then my head went clear and I realized why 1881 was such a gnarly year. It was the year Garfield was assassinated. No joke, I had to hold back my tears. I love history, I really do, but I also recognize not many people love it as much as me, so I try to keep it together. 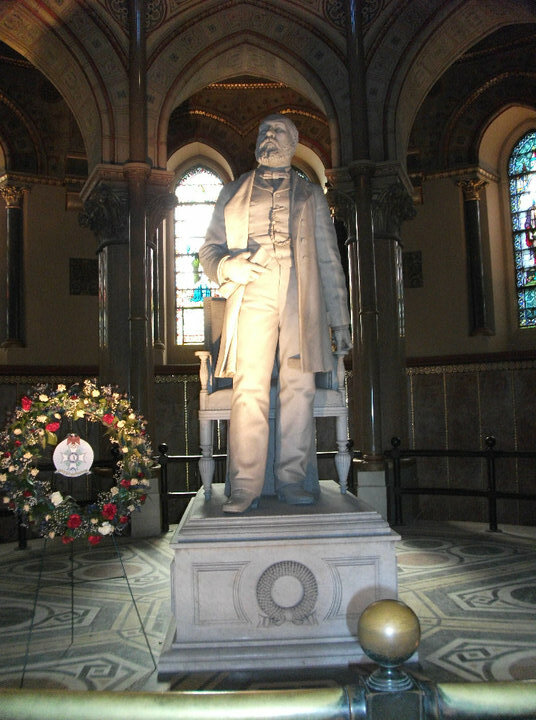 But when I went out to Cleveland with George in 2010 we visited the cemetery where James Garfield is buried. It was the only time we went to a tomb of president. Such an eerie coincidence right? No it gets weirder. I make no bones about it. The number 19 is my favorite number, so what does this have to do with our 20th president? He was born on November 19th, and he died on September 19th. For those new to my widow blog, I married George on September 19th. I’m a firm believer in signs. I feel like here and there George will put markers out for me to know he’s still with me. 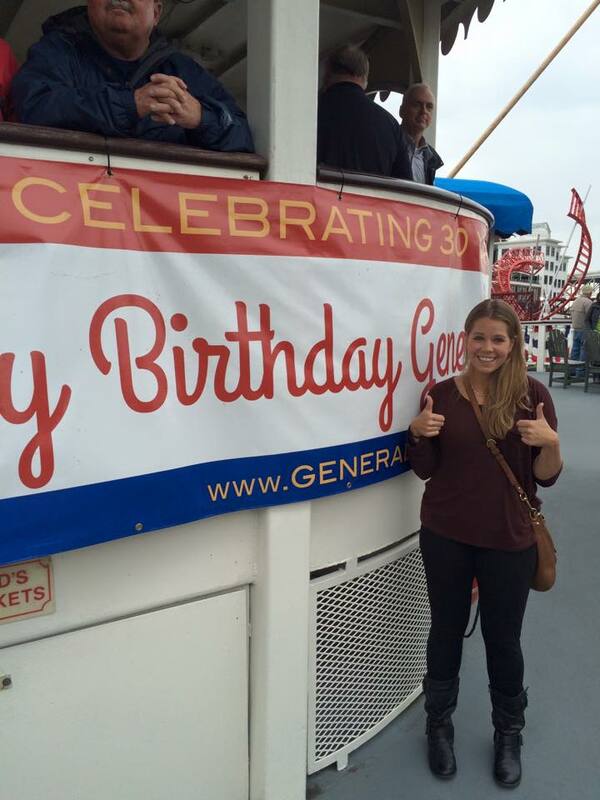 But he provided me with the surprise of James Garfield on my birthday weekend. I see this and I can’t help but think, yes the puzzle pieces are slowly fitting together and I like what I’m seeing. This entry was posted in Uncategorized and tagged alabama, andrew jackson, anniversary, bereavement, Birthday, dating, exercise, grief, history, james garfield, nashville, running, sad, widow, young widow. Bookmark the permalink. It’s crazy how subtle signs can be and how in your face they are. This one was special. Something that only I could link together and It feels so unique. Even in death he still continues to wow me.